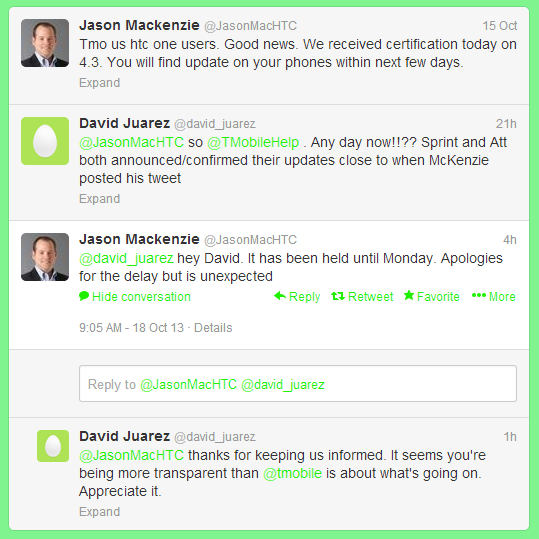 If you've wanted to know when the Android 4.3 update is coming to the HTC One, HTC Americas president Jason Mackenzie is the man to follow. It's from him that we first found out about the latest version of Android coming to our favorite aluminum handset this fall, and he was the one who provided more specific ETAs as time went on. 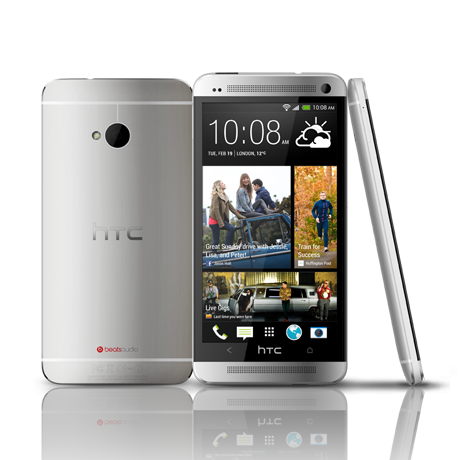 Now he's revealed that the Android 4.3 update is scheduled to roll out to T-Mobile HTC One owners this upcoming Monday, the 21st. Mackenzie announced earlier this week that T-Mobile customers could expect the 4.3 update within a handful of days, but things apparently hit a snag, and now the release has been pushed back until Monday. Still, better later than never. Soon T-Mobile customers will get to see what Sprint, AT&T, and C Spire Wireless customers are raving about. 9 out of 10 fictitious polled people agree, the update is worth the wait.